KK Richard submitted this photo and caption. 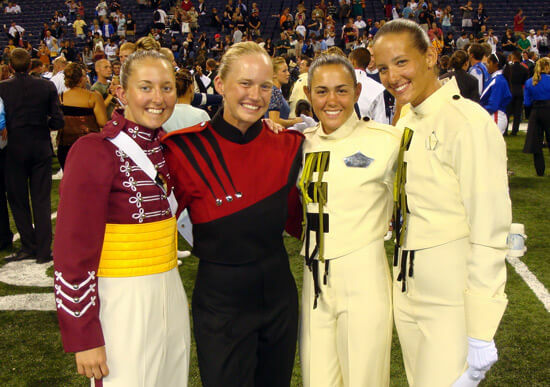 This picture was taken at the 2009 DCI World Championship Age-out Ceremony. The four of us toured Japan with the cast of "Odyssey" last fall. It was great seeing each other and our other "Odyssey" friends throughout the summer! Congrats to everyone! From left to right is KK Richard (mellophone), Mary Cowperthewait (tuba), Holly Maldonado (mellophone), and Danielle Deditz (tuba).